Died: France and Flanders, 15th July 1916. Killed in action. Son of Arthur and Louie Parker, husband of Agnes Ellen Parker. 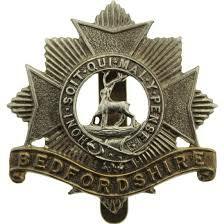 Rose to Sergeant 6th Battalion the Bedfordshire Regiment having enlisted in Colchester. Regimental number 7654.